The FOMC has raised the funds rate nine times since December 2015, with four increases in 2018 alone. As recently as September 2018, the committee projected three more increases in 2019. That dropped to two projected increases at the December meeting. 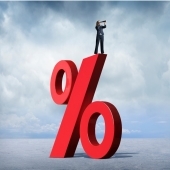 But the March projections suggest that there may be no rate increases in 2019 at all.